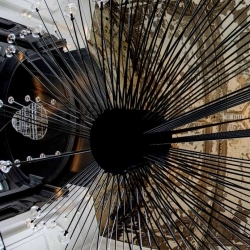 The Jane restaurant designed by Piet Boon opens this week in Antwerp. 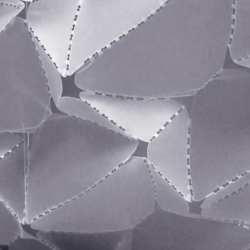 VIDEODiaphanous - This wind-interactive wall is so responsive it seems almost alive! 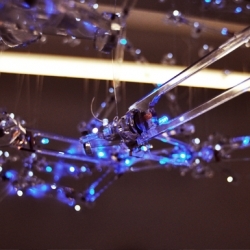 An elegant and unexpected wind creature, from architecture students at IaaC. 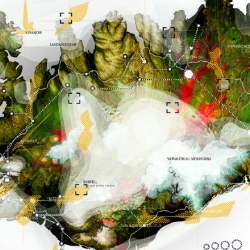 Led by Luis Callejas of LCLA, this exploration investigates the spatial and ecological implications of the recent shifts in the cultural perception of energy exploitation in Iceland. 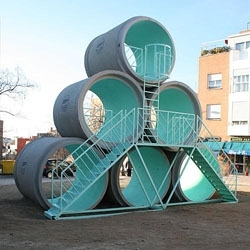 Hypertube is PKMN Architects & Taller de Casqueria's public art collaboration as part of an initiative in Madrid to improve the urban landscape in lower income neighborhoods. 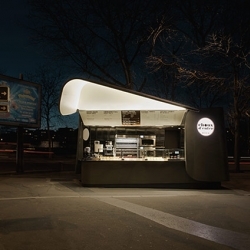 The parlor décor, created by architecture and design firm March Gut, adds a futuristic upgrade to Linz's Eisdieler Ice Cream Parlor. 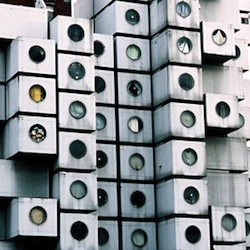 PingMag, the bilingual Tokyo-based design and lifestyle magazine, is making its first book... about "The Japanese Home". 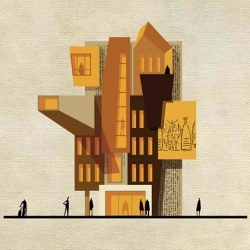 A new exhibition in London's Royal Academy of Arts explores architecture from the human angle. 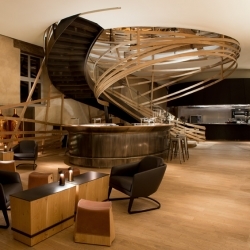 Haras de Strasbourg, hotel and restaurant, subtly inspired by the world of the horse. By architects Patrick Jouin and Sanjit Manku, France. 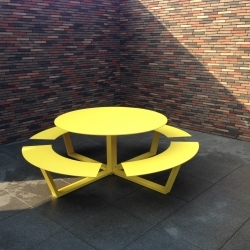 La Grande Ronde, large round aluminum picnic table, seats 8 to 12, available in any RAL color. By Cassecroute. 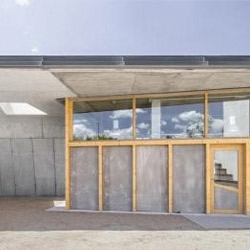 St. Denys du Plateau Church is reinvented as Monique Corriveau Library, Quebec. 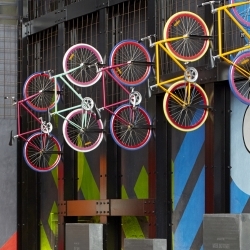 Mim Design Stuidio gives an old, inner city power station new graphics. 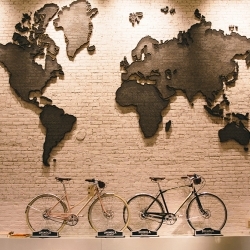 Creative artwork includes airborne bicycles, neon light fixtures and series of futurists graphics in brazen 60's colors. 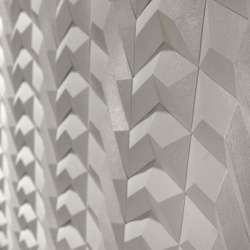 'Gen' ceramic tiles by Patxi Cotarelo and Alberto Bejerano of Spanish studio Dsigno, for Peronda. 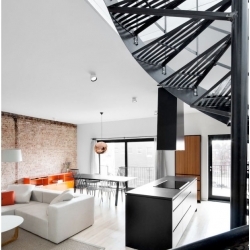 The Esplanade Residence by Emilie Bédard Architecte with Idea Design. 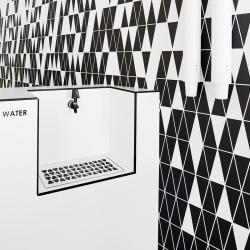 'Man Machine' exhibition by Konstantin Grcic in the Kréo Gallery, Paris. 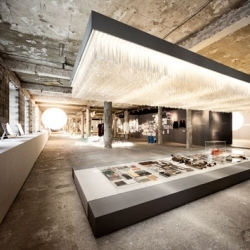 22 Years of Design at Faculty of Architecture - University of Lisbon Exhibition by Marco Rocha & Mário Matos Ribeiro, at the Lisbon Design and Fashion Museum (MUDE). 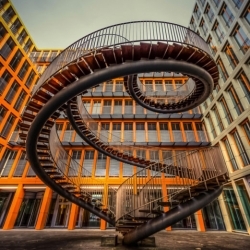 Penrose Triangle, impossible endless staircase from Lionel and Roger Penrose. 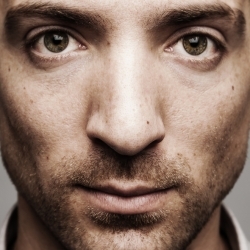 Photos by Dominik Hartmann. 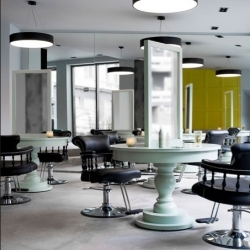 Gorgeous interiors of the Inch Hair Salon in Apa, Oslo, Norway by Vigdis A. Bergh, from Inne Design. 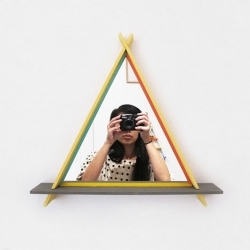 'A-Frame Mirrors' by Brooklyn designers Chiaozza. 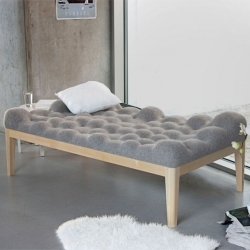 'Kulle' sofa by German designer Stefanie Schissler. 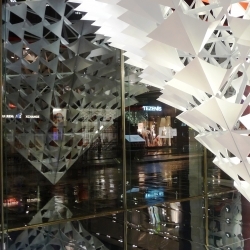 The Pyramids of NY-LON are two inverted pyramids created by award winning design studio NEON and currently installed in the windows of Topshop’s flagship stores in New York and London. 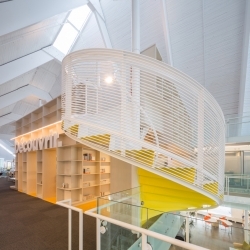 The Spring Learning Centre in Hong Kong by Joey Ho Design. 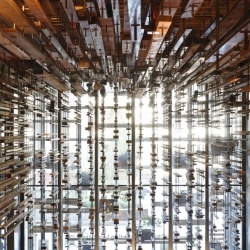 March Studios have transformed the auditorium of the Nishi Building in Canberra with reclaimed wood. 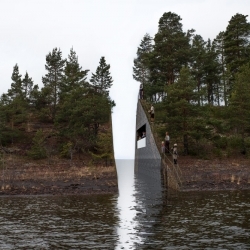 It was designed by MONA designers Fender Katsalidis Architects and Suppose Design Office in cooperation with Arup. 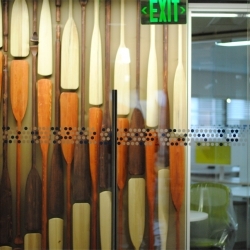 VIDEOUsing reclaimed books and hand crafted oars, Radlab has created two feature walls for Intuit's new office space in Cambridge. 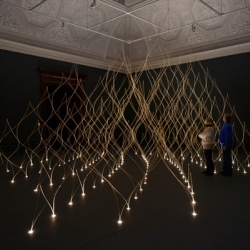 The book and oar walls are whimsical studies of the field condition and the wave condition respectively. 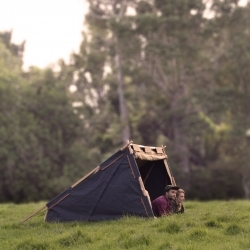 By drawing inspiration from the past, the Under Cover Camper was designed to place the value back into the tent by promoting sustainability, style, longevity, and quality. 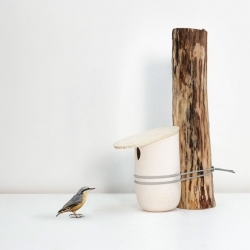 'Mikko' Birdhouses by French studio Pygmalion. 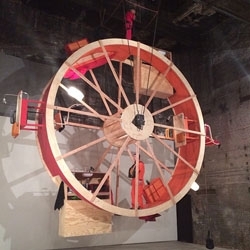 'In Orbit' currently on view in Williamsburg is the latest performance-architecture by Ward Shelley and Alex Schweder where they cohabitate on a giant wheel for 10 days. 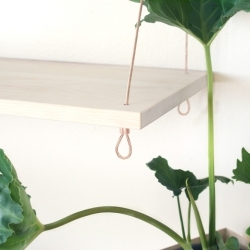 Yield's Pantry Shelf is a modern take on the classic, colonial Spanish shelves from St. Augustine which were suspended to keep goods safe and dry. 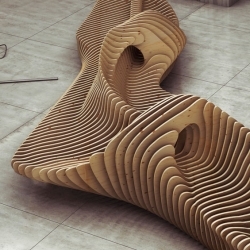 'Parametric Form' by Russian architect and designer Oleg Soroko. 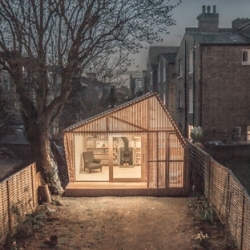 A writer's retreat in a London garden from Weston, Surman & Deane. 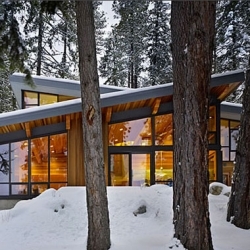 North Lake Wenatchee from DeForest Architects. 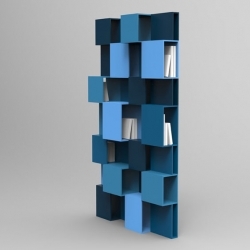 'Pixl' bookshelf by French designer Fabrice Berrux for Roche Bobois. 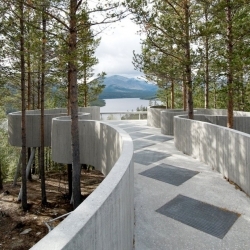 A beautiful viewing platform and incredible view at the Sohlbergplassen Viewpoint by Carl-Viggo Hølmebakk. 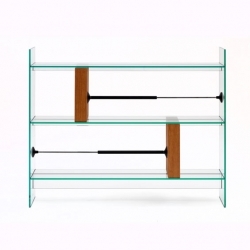 Interview with Valerio Sommella, a highly talented young Italian designer. 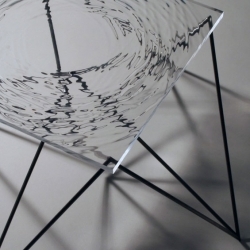 'Wave Table' by Swedish designer Fredrik Skåtar. 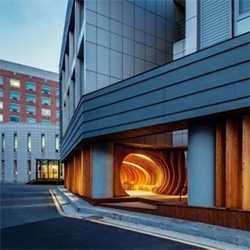 Rest Hole, University of Seoul. The dark, barely utilized car park was transformed into a modern and eco-friendly relax area by UTAA. 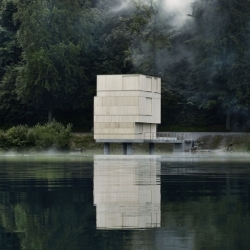 The Tower of Rotsee, Switzerland, is used during summer rowing regattas on the lake. Designed by AFGH Architects. 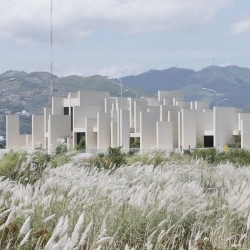 Unusual exterior of the the 100 Walls Church in Cebu City by CAZA. 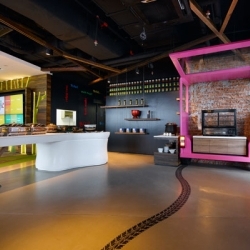 The Google KL office is a space shaped around community, inviting exploration and discovery, with references to typography and cultural icons of Malaysia. By M Moser. Lady Peel House by rzlbd in Toronto, Canada. 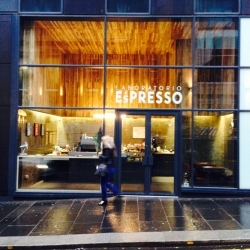 Laboratorio Espresso, milanese coffee spot in Glasgow, Scotland by DO-Architecture. 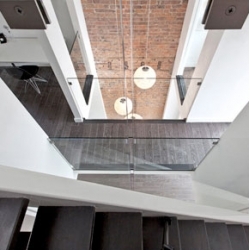 The project re-uses construction waste from Stephen Holl's new building for Glasgow School of Art. 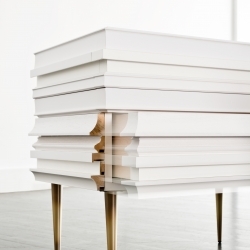 VIDEOSimple Parts, Complex Effects: An exhibition of digitally fabricated design work by Joshua Vermillion and University of Calgary design students. Frame Custom Nightstand - Moldings transformed into functional furniture. Sense of humor, magic, surprise and interaction by Luis Pons for LPDL. "Laying the leaves". This was the slogan for the project that architect Xavier Tragant presented for the new library and historical archive of the city of Sant Fruitós de Bages in Catalonia. 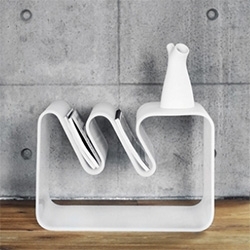 Design Contract share with you an exclusive interview with a finnish designers, duet BEdesign.